The government has finally decided to scrap the contract with Co-operativa Muratori Cementisti (CMC) Ravenna — the Italian contractor of the Melamchi Water Supply Project. The meeting of the Water Supply Development Board, held on Friday, concluded to terminate the contract with the Italian contractor and publish a ‘termination letter’ notice giving CMC a final chance to resume works of the water project. As per contract that the government has signed with CMC, government must send a ‘termination letter’ notice to contractor giving it a 14-day ultimatum to resume the project works. In case CMC fails to resume construction works of the project within the stipulated two-week time, the contract will be terminated automatically, as per the legal provision. The government’s decision to begin the process to scrap the contract with CMC is backed by the failure of the officials of the Italian company, who had left for their countries to celebrate Christmas, to return to complete the project. They have also not tried contacting the government since they left the country. “We will soon send the notice of ‘termination letter’ to the CMC office in Italy,” said Gajendra Kumar Thakur, secretary at the Ministry of Water Supply. 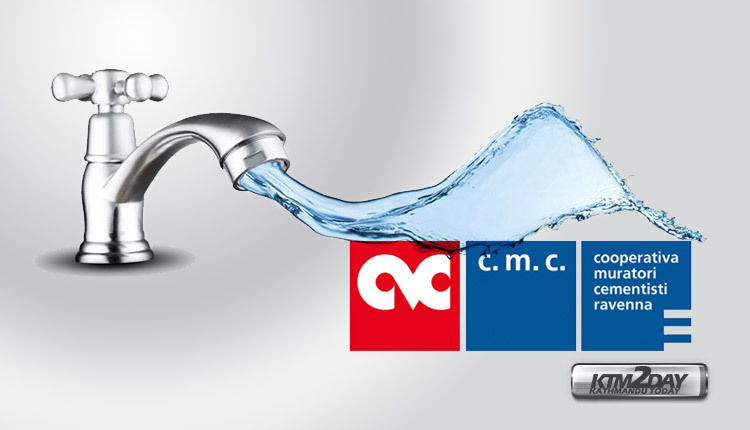 Earlier, CMC had terminated its contract with the water project citing the company’s bankruptcy. However, the government had not accepted the termination letter of CMC as the project was in the final stage of completion. Instead, the government had been doing its best to bring back CMC to the project and had allowed CMC officials to go home to celebrate Christmas after their commitment to return and the assurance provided by Italian embassy in India and the Consulate General of Italy in Kathmandu of their return. However, the government decided to begin the contract termination process with CMC as they have not returned yet and also because they have not notified about anything to the government in this regard. Surya Kandel, executive director of Melamchi Water Supply Development Board, said that the government cannot ‘legally’ terminate the contract with CMC before February 10 (the project contract period of CMC) as the dispute resolution committee of the water project had earlier made a decision that the government cannot scrap the contract with CMC till that time. “We are compelled to scrap the project contract with CMC. However, official termination of the contract will be after February 10,” said Kandel. Meanwhile, scrapping the contract with CMC will delay the construction of the Melamchi Water Supply Project, which was expected to be completed by the next few months, as terminating the contract with CMC also means that the government has to follow a lengthy process to hire a new contractor for the project.